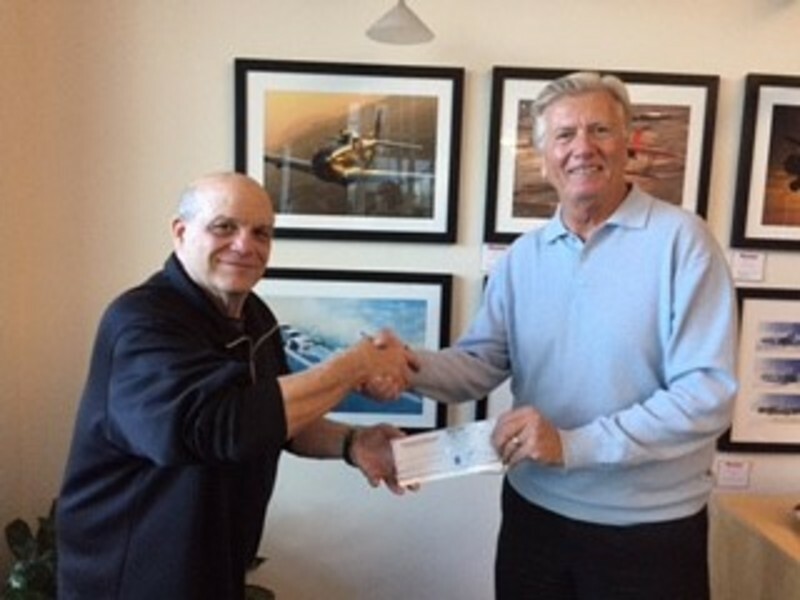 Mark Torpey, CTC, Industry Relations and Communications Chair of the Arizona ASTA Chapter, presented Steve Ziomek with Thunderbird Field II Veterans Memorial, a donation check for the development of a new monument to represent the history of Scottsdale Airport and honor all veterans. During World War II, the airfield, built for the sole purpose of training U.S. Army Air Corp pilots, was known as Thunderbird Field II. Thunderbird Field II graduated over 5,500 pilots, many of whom saw military action in Europe and the Pacific. The school was deactivated on October 16, 1944. The highlight of the new Scottsdale Airport Thunderbird Field II Plaza at the entrance to the terminal, business center and restaurant will be the Thunderbird Field II Veterans Memorial. The park-like Plaza will include a monument with information on Thunderbird Field II and its military history. The centerpiece of the Plaza will be a Stearman PT-17, the aircraft used for training at Thunderbird Field II. Surrounding the monument will be manicured, park-like open space for enjoying the wonderful Arizona weather. Acquire and mount a Boeing-Stearman PT-17 in the Thunderbird Field II Plaza at the entrance to the Scottsdale Airport terminal, business center and restaurant. A park-like Plaza which will highlight the history of Arizona’s contribution to WWII, Thunderbird Field II, a Boeing-Stearman PT-17 Kaydet as a tribute to all veterans. Thunderbird Field II Veterans Memorial Inc.